Joint HealthScitec Mega MSM - 100 kaps. 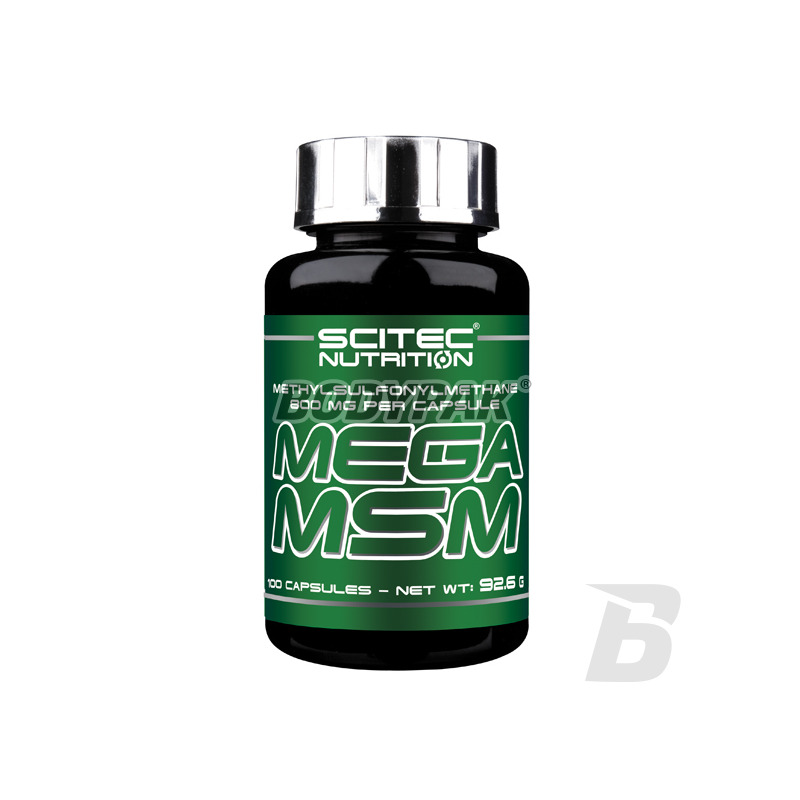 Scitec Mega MSM - 100 kaps. Mega MSM - is a dietary supplement containing MSM (Methylsulfonylmethane) - a third of the compounds, together with glucosamine and chondroitin plays an important role in the synthesis of cartilage proteoglycans, and thereby positively influences its structure, regeneration and operation. 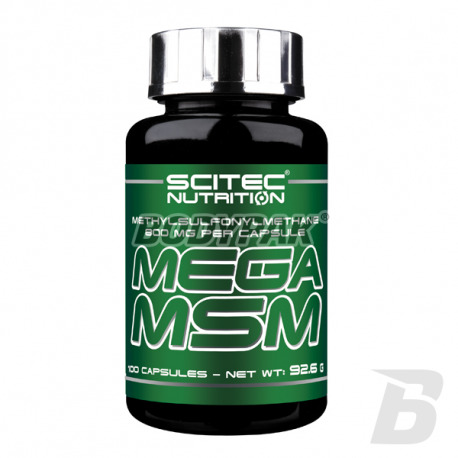 Scitec Mega MSM is a dietary supplement containing MSM (Methylsulfonylmethane) - a third of the compounds, together with glucosamine and chondroitin plays an important role in the synthesis of cartilage proteoglycans, and thereby positively influences its structure, regeneration and operation. The product improves the mobility and flexibility of joints. MSM is an organic sulfur source. It is present in small amounts in many foods and beverages. Our single component, a sufficient dose of MSM allows a more precise dosage of this component (in combination with ingredients such as, for example. Glucosamine, chondroitin or collagen) to search for the best degree! Scitec Mega MSM has a beneficial effect on the regeneration of articular cartilage, it helps with inflammation. 1 caps. 2-3 times a day before meals.